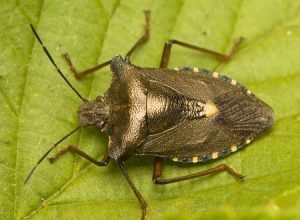 A recent article from Texas newspaper Times Record News highlighted three of the most damaging pests to crops, one of which is the brown marmorated stink bug. A bug that was first found in Pennsylvania during the 1990s, the brown marmorated stink bug wreaks havoc on farms across the United States, causing more than $30 million in damage to apple crops alone in 2010. Not only is the brown marmorated stink bug extremely harmful to crops, but it is also known for spending its winters indoors, both in homes and vehicles. And although this stinkbug won’t do any damage to your house, it can be quite a nuisance, since is lets off a foul odor when bothered or squished. Found across most of the continental United States, this invasive stinkbug originated in Asia and has been able to spread so rapidly because of a lack of natural predators. Detected in 42 states and two Canadian provinces, these bugs are a big nuisance to farmers and residents across the Northeast. Brown marmorated stink bugs aren’t picky when it comes to snacking, but Stop BMSB has created a crop-by-crop analysis of their favorite foods to feast on. If you are finding brown marmorated stink bugs throughout your home or business, don’t panic. These creatures are completely harmless to you and your home. There are a few ways to get rid of stinkbugs without the stink, including vacuuming them up and trapping them in a metal pan filled with soapy water. We recommend using a Shop-Vac or an old vacuum that you don’t frequently use to prevent the stink from getting into your everyday cleaning companion. 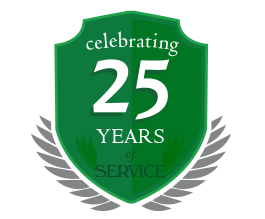 If you need help handling your infestation, Amherst Exterminators is just a phone call away at 716-908-2475. 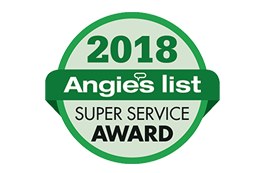 Servicing the Amherst, Williamsville, Kenmore, Tonawanda areas and more, we are happy to assist with all your exterminating needs.